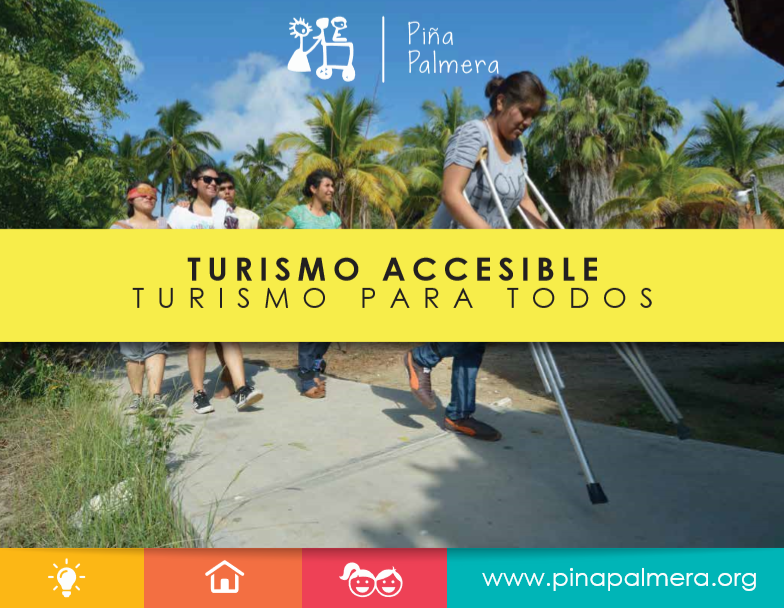 CBI – Piña Palmera A.C.
What is Community-Based Inclusion (CBI)? The rehabilitation process through CBI links and holds all sectors in society responsible. Through the CBI strategy, we carry out community work, in which a team of people with experience and knowledge in the field of disability, trained local personnel, people with disabilities (PWD), family members of PWD students, and volunteers from different countries participate. To us, this means using a practical and committed strategy to carry out activities that will share the learning and experience gained over 30 years of participation in rehabilitation processes to a growing number of people who have disabilities in the area. The objective of the strategy is to promote changes in attitude in the environment to achieve an inclusive community. The work of Piña Palmera in rural communities of the coast and southern highlands of Oaxaca began in 1990. At that time, simple rehabilitation techniques were applied based on the book “El Niño Campesino Deshabilitado” by David Werner (published by Hesperian Foundation). 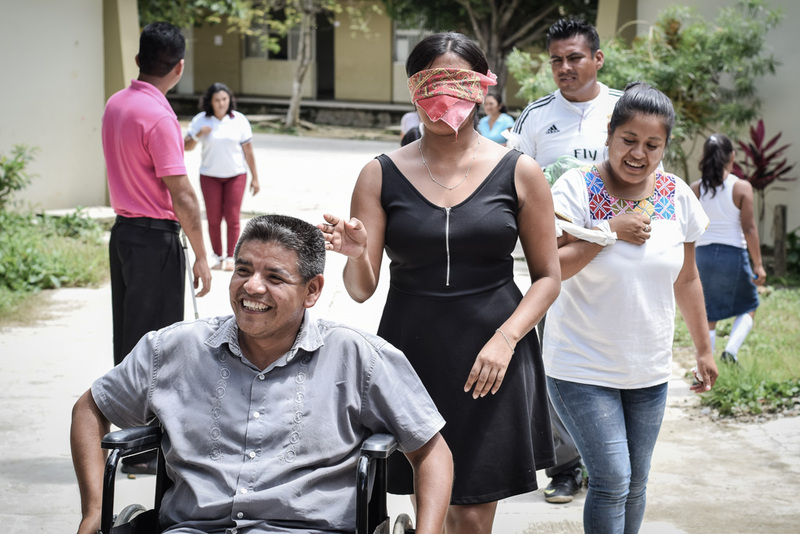 The rehabilitation team that was trained by Piña Palmera was in charge of the processes of the people of the disabilities, and they visited the homes of PWD, without involving the rest of the community. In the year of 1994 we decided to start the Rehabilitation Based on and with the Community (RBECC) strategy in the communities we had been working with since the number of participants in these areas began to increase rapidly. We used the Community Based Rehabilitation (CBR) manuals published by the World Health Organization (WHO) in 1989 as a first reference. The strategy not only facilitates the ability to cover most of the population with disabilities in the area, but also considerably reduces the costs of rehabilitation, given that most of the promoters work voluntarily. More importantly, rehabilitation is gradually assumed as a community responsibility, where the different sectors fulfill their roles for the inclusion of PWD. Thanks to the initial experiences that we obtained, we have constantly acquired learning experiences and developed useful knowledge to carry out in our work in other communities. people with disabilities, their families and community members about disabilities and rehabilitation activities.” It also implies “community participation in the planning, decision making and evaluation of the strategy. This method could be called the democratization of rehabilitation” (WHO Handbook Community Training for Persons with Disabilities, 1989). Piña Palmera has made an adaptation of the CBR model proposed by the WHO to the context and conditions of the Oaxacan coast. We call our own model “Community-Based Inclusion” (CBI). · PWDs and their families, acting as local promoters. · An inter- and multidisciplinary team of Piña Palmera trainers, with professionals in the areas of psychology, physiotherapy, occupational therapy, communication and language therapy and learning therapy; persons with auditory disabilities and visual disabilities (who share their experiences and train others in Mexican Sign Language and Braille) and people from the local community who have been trained in the topic of disability and CBI. Our social and community approach starts from the interests and needs expressed by the local population. Each community marks the themes and the time. Where local languages ​​are spoken, we use local translators and we are aware of that each place has a cultural, social and political specificity to which we adapt our work. 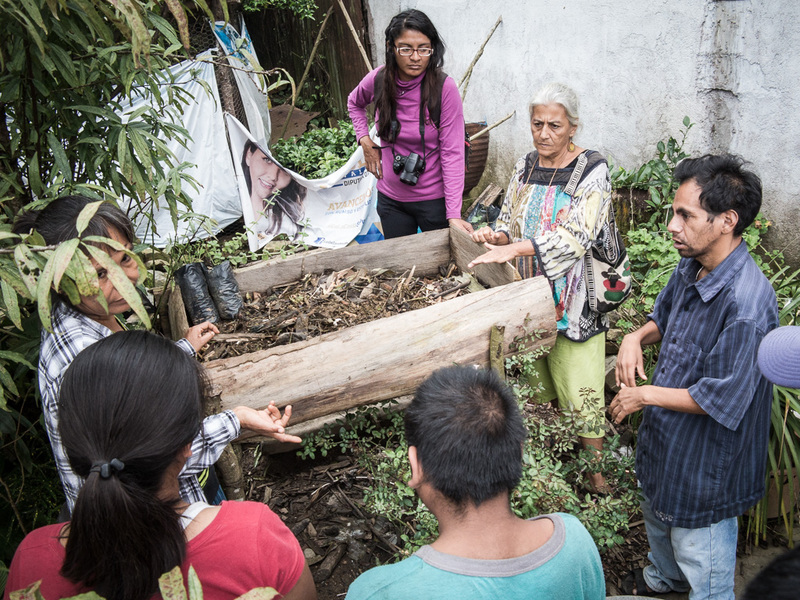 Our way of acting with the community is derived from a participatory observation where, in a collaborative way, the needs and particular interests are detected and practical and flexible actions are proposed, which we then commit to give follow-up on. 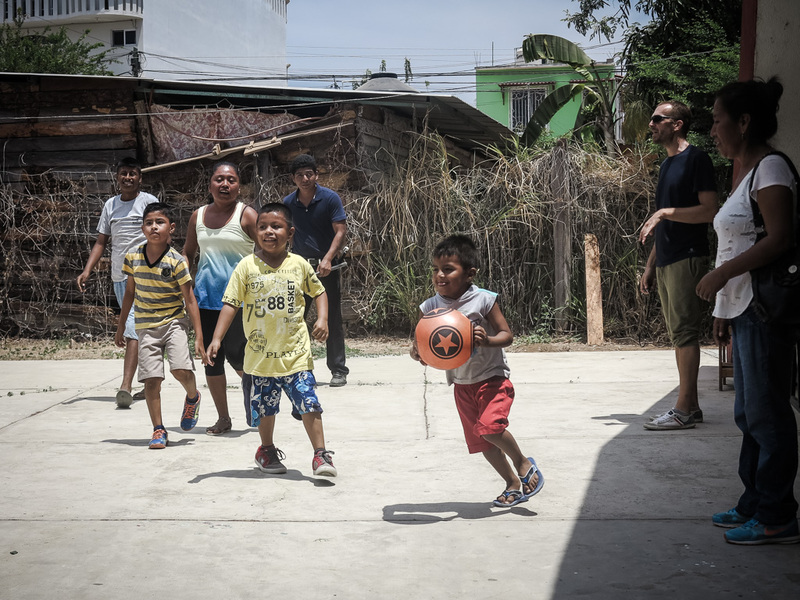 Community Based Inclusion (CBI) is the name we have used to define our work strategy, which has been an adaptation of the strategy of Community Based Rehabilitation (CBR) proposed in the seventies by the WHO (World Health Organization) and the PHO (Panamerican Health Organization). Currently at the international level among agencies that are related to the issue of disability, a reflection has begun on the word “Rehabilitation” in the framework of CBR, taking into account that the work that is carried out has the objective of inclusion in all the areas. In view of this discussion at the international level, it has been named (2018) as Inclusive Development based on the community, where one of the components continues to be rehabilitation. Piña Palmera again adapts the term and decides to name the work that is done in community as “Community-Based Inclusion (CBI)”. This decision is taken from the reflection on the theme of “development”, which in our opinion does not correspond to the RBC matrix, but is a subject decided by the community and imposed by other external actors. What we try is to guarantee changes in the environment so that there is a really community-based inclusion, that’s why we have chosen this term. 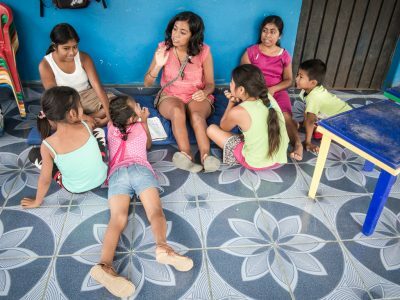 Our work is carried out directly in the communities where the PCDs and their families are, generating actions to transform the environment and the attitudes of all the groups that make up the communities, with gradual processes that are based on a matrix of 5 elements: Health, Education, Support, Social and Empowerment.